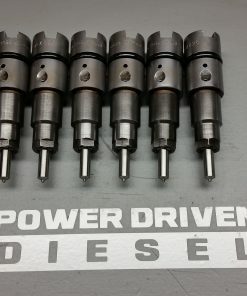 Power Driven Diesel’s Budget Builder injectors are a proven performance injector. 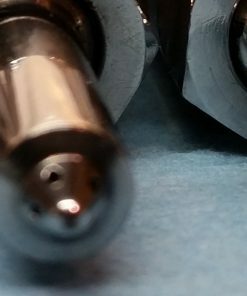 We build every one of these injectors here in our shop in Cedar City Utah. 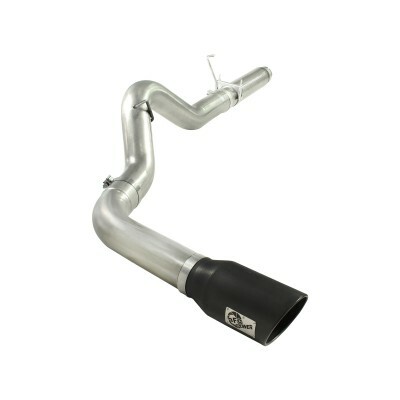 This injector is designed to fit the Cummins marine style 155º piston. These injectors are considered 125 horsepower over stock. 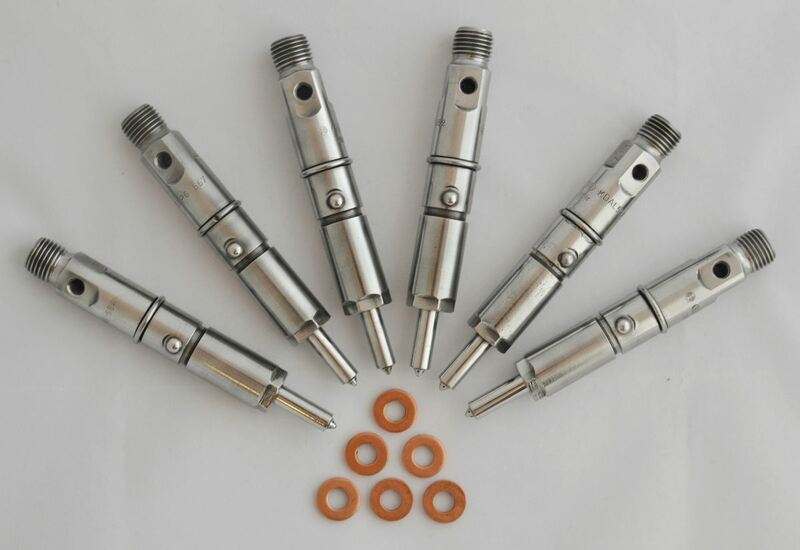 Budget builder injectors will come with new sealing washers. 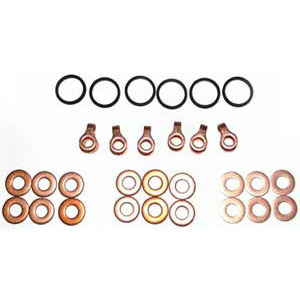 If you want a complete install kit please select it below. 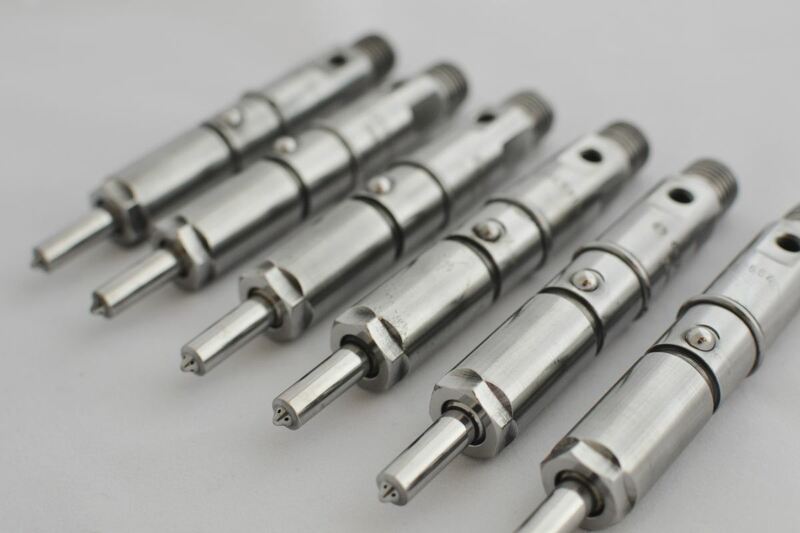 Our most popular option for thousands of customers, every injector we sell is built here at our shop in Cedar City, Utah. Our line of budget builder injectors are the cheaper option compared to our Power Driven line of injectors, but that does not mean they are low quality. 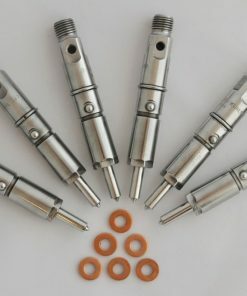 Every injector is hand built on injector bodies with our High Production nozzles, available only in the most popular spray pattern. Every set of 6 has an opening pressure balanced within 8-bar of each other, ensuring consistent quality before they go out the door. 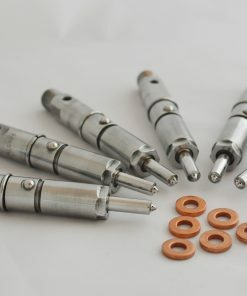 Like countless others, you may be wondering what the difference is between all of the injector sizes/hole counts and surfing the internet to find the answer can often lead to more confusion. We’re here to shed some light on the matter. Per a given flow amount, an injector with a smaller hole count and larger orifice size will penetrate deeper into the piston bowl. Depending on the rpm for the application, this could be an advantage or a drawback. 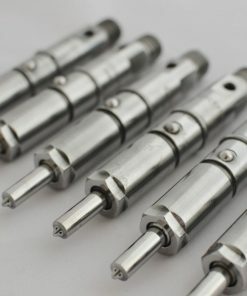 An injector of the same flow with a larger hole count and smaller orifice size will produce a finer spray and penetrate less deeply into the bowl, meaning that it will burn sooner at lower rpm/boost levels. The real world effects of this seem to come in the form of burn efficiency at a given rpm. At low rpm, the 7-hole better disperses fuel into the air charge which results in increased burn efficiency (more power). There is a cross-over point around 2000rpm where the deeper penetration of the 5-hole injector results in better fuel dispersion into the increasingly turbulent air charge, enabling a more complete burn which results in more power. While apparent, these differences are minimal until 3000rpm. 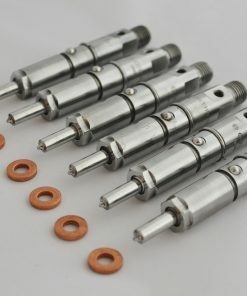 The 5-hole style injector is by far the most common and is the best choice for most applications. 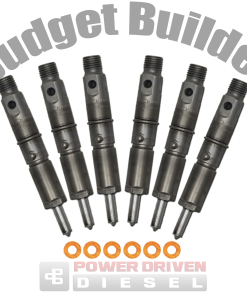 A great injector for those who want an increase in power, these injectors are rated up to 135hp over stock.